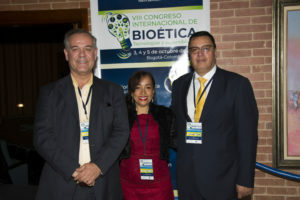 The Director of the UNESCO Chair in Bioethics and Human Rights, Dr. Alberto García Gómez, attended the VII International Congress of Bioethics held by the Universidad Militar Nueva Granada in Bogotá, Colombia, during the 3rd, 4th and 5th of October. 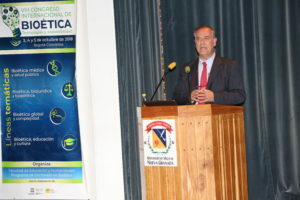 In his lecture titled “Neurobioethics, Placing the Human Being at the Center of Neuroscience, Ethics, and Law” Dr. García reviewed some of the most prominent topics in the field of neurotechnology, and as the title suggests, he was able to explore the ways in which the human being ought to remain the gravitational center of such a rapidly evolving reality. 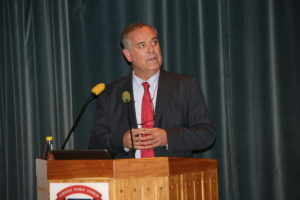 The first issue Dr. García addressed was the need to re-formulate the ways in which we think about our brain. What is the relation between mind and brain? Despite the common claims that both are one and the same thing, we are still unable to locate the human sense of identity and self within any of the 28 substructures of the brain. The intangibility of human singularity invites us to think of the human being not only as an material entity, but also as a transcendent one: by means of rationality, we are able to place our inclinations beyond the contingencies of our material body, interact with others in society and foment virtue. This perception of the human being introduced Dr. García’s next discussion, namely the bioethics of neuroscience. As he insisted, a position open to progress and change must belong to all bioethicists, as long as the overarching anthropological view is not lost. Moral judgement, he stated, must focus on two elements when talking about neuroscientific ends: the means by which they are achieved and their intention. Drawing on this distinction, Dr. García talked about the essential differences between therapy and enhancement, which lead him to address Transhumanism in a neutrally critical way: the disposition to endow the human being with a higher degree of dignity by means of biological enhancement can prove to be a slippery slope, and common good must prevail over individual dispositions. Many questions surround this topic: does all scientific advance constitute progress? Will enhanced human capabilities increase the already existing gap between the rich and the poor? Will the transhuman being constitute a new paradigm that will make the concept of human singularity blur? These and many other issues should always be addressed bearing the idea of human dignity in mind. Reversing the actors of his previous discussion, Dr. García talked about the neuroscience of ethics. Or in other words, the ways in which neuroscience can help us understand the intricacies of our moral thought. He explained the problems that arise from the implantation of recent theories that deny the existence of human free will. If there is indeed a measurable relation between certain brain structures and human behavior, if human choices are nothing more than the end of a chain of causality that is merely material, he states, the concepts of responsibility (in moral terms) and imputability (in legal terms) lose all meaning. 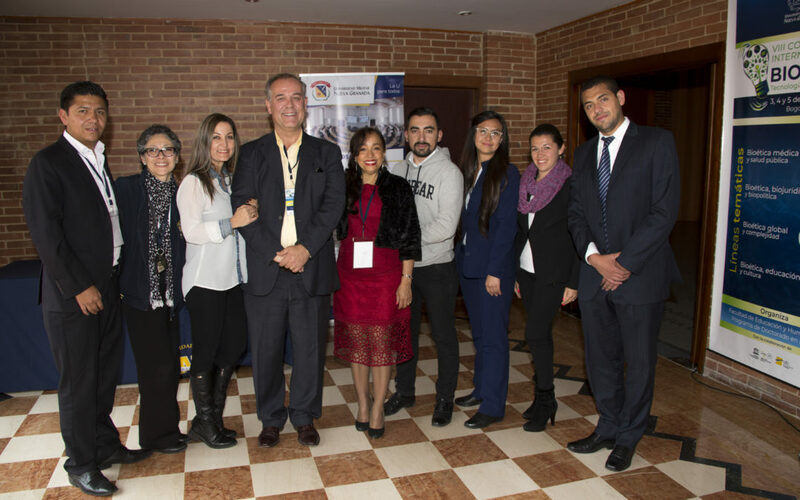 Dr. García finished his lecture reminding us that human dignity is not derived from the complexity of our biological structures nor from our mental functions and faculties. Rather, it is found in the metaphysical reality that goes along the fact of being human: transcendence. 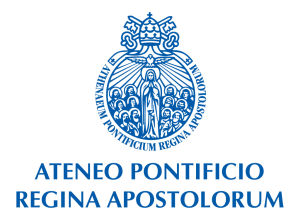 The UNESCO Chair in Bioethics and Human Rights in collaboration with The University of Anáhuac (Faculty of Bioethics), the Holy Spirit College, and the Ateneo Regina Apostolorum is launching the NEW Master in Global Bioethics online. Training future university professors, health care professionals, biomed researchers, social and political agents with high academic knowledge and skills in bioethics. Providing an integral formation in the field of global bioethics, allowing participants to develop their professional activity, both in the private and public sphere, with social responsibility and grounded in person-center approach. Developing capacity for interdisciplinary, international and cross-cultural dialogue to explore new solutions for the preservation of health and the improvement of individual well-being and social welfare.